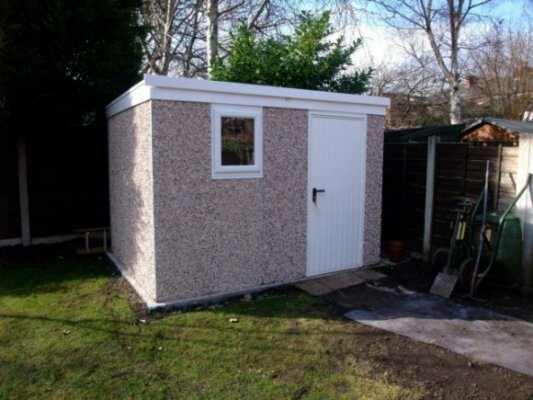 Planet Garagess Sheds range is available with both the pent and Apex roofs. ideal choice if security is paramount. Why not add some extra items to your building? True brick front post. Available in six design colours. 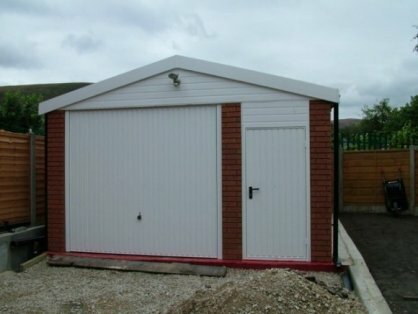 Our steel doors are available with three point locking for added security. 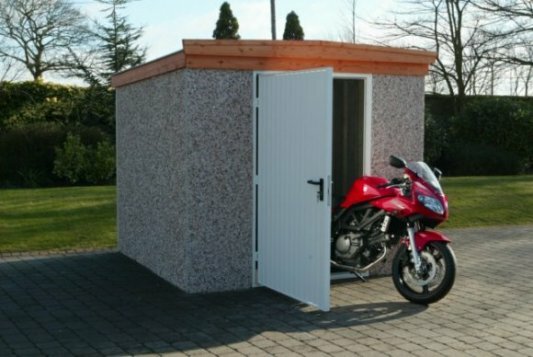 If pedestrian access is required the market leading Hormann up and over doors offer a range of personal access doors built to specification. 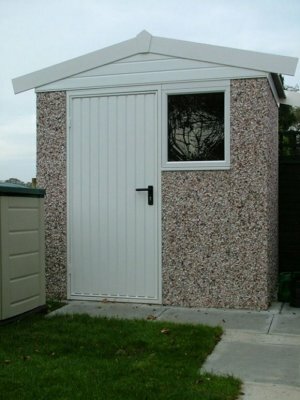 The Hormann doors also come pre-framed, giving a consistent performance over the lifetime of the garage. 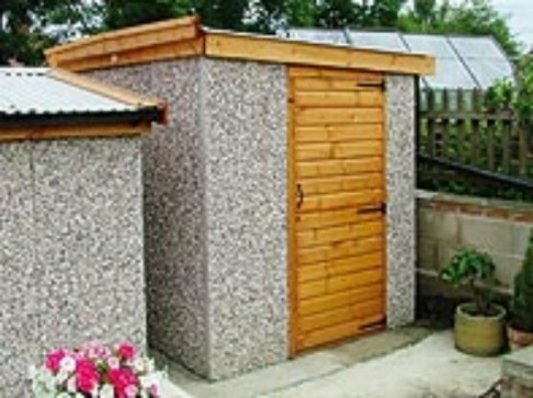 Our fibre cement roof utilises Cembrit 5in profile roof sheets up to 20% thicker than many competitors. Our Pent roof structure comprisesof galvanised steel rafters and corrugated sheeting for greater strength, durability and better looks. 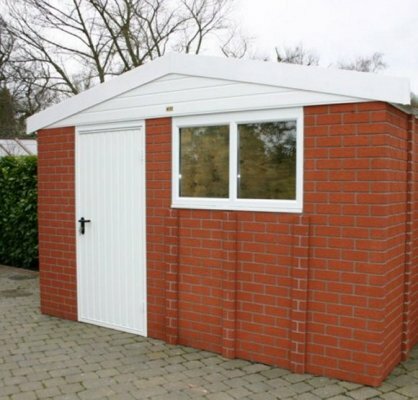 The main section of the roof is made from UltraSheet corrugated galvanised steel roof, with Grafo-Therm anti condensation roof treatment included as standard. All timber used in the construction of our concrete sectional buildings is factory treated by dipping in preservative.